Originally a dancer, Eleanor added circus and aerial work to her repertoire when studying at the Northern School of Contemporary Dance in England. She has mastery across trapeze. aerial ring, tissue and cord lisse/rope. Pilates has always been part of her body conditioning routine for as long as she can remember. She has choreographed for elite gymnasts, was a trainer and director for the Women’s Circus and currently tours with Circus Oz’s education program. 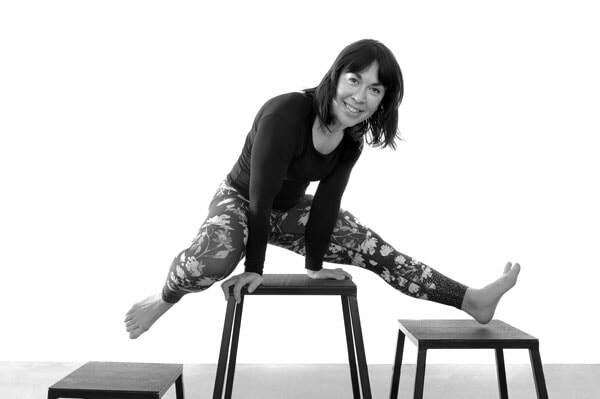 She holds a Certificate IV in Pilates from Breathe Education and has many years experience teaching groups, from beginners to professional athletes. Little known fact about Eleanor: She was a cheerleader for Leeds United Football Club.